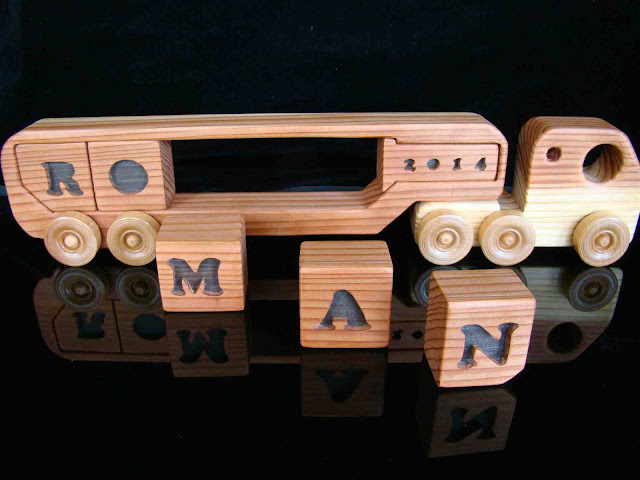 Another Ken Martin's handmade wooden toys. It was redesigned from what was originally a car carrier puzzle truck. 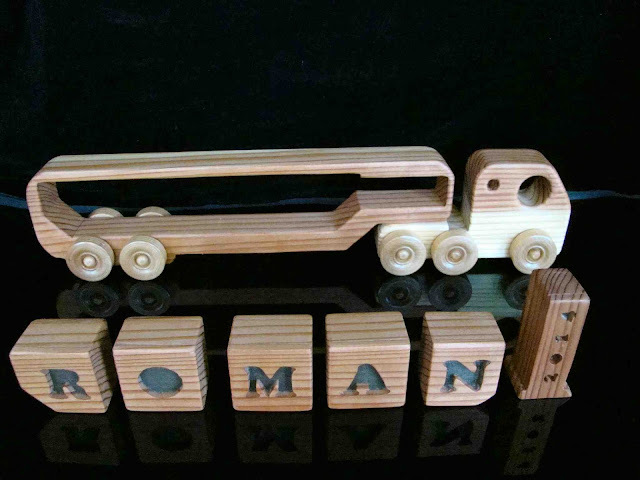 The letters in the blocks were made by cutting off the top of the block then cutting out the letter with a scroll saw. The cut surface was painted and the block was glued back together. 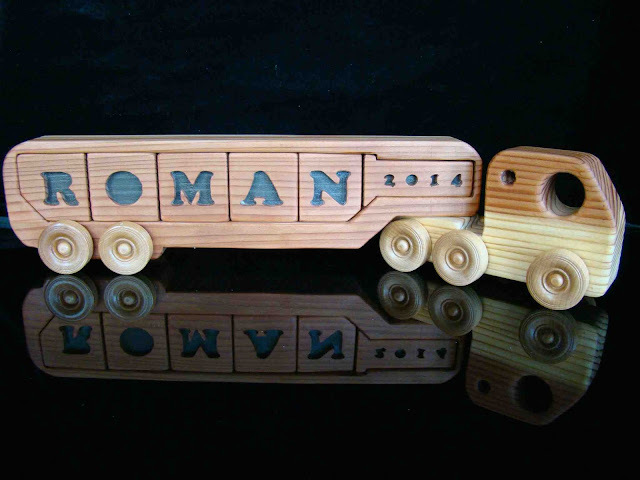 This is a simple design the could be easily modified to accommodate names of just about any length. You can read Ken's original post here.